or tablet, which includes all the original text, all the original color plates etc., available as free PDF download. Select your preferred Gītā and click on the image or link to download! 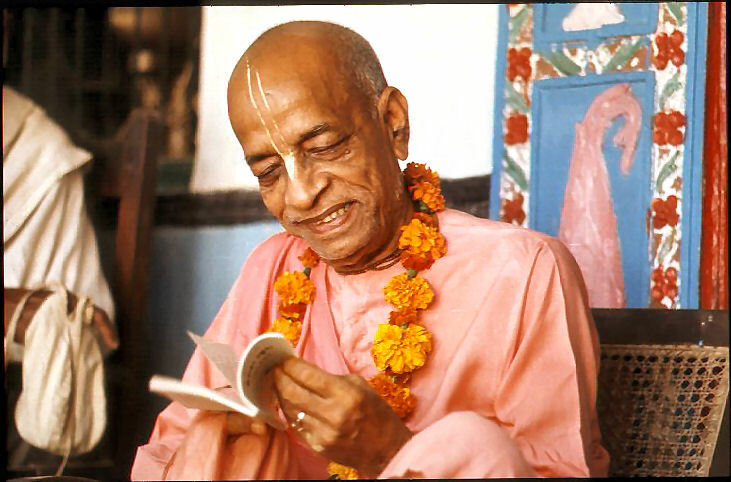 It is essential that we preserve the original books and teachings of Śrīla Prabhupāda for the future as ISKCON and BBT have no interest preserving these books. 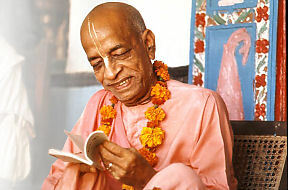 They are constantly publishing new and revised editions of Prabhupāda’s books so gradually, over time, the books published by ISKCON and the BBT will no longer have any resemblance to the books Śrīla Prabhupāda originally published. 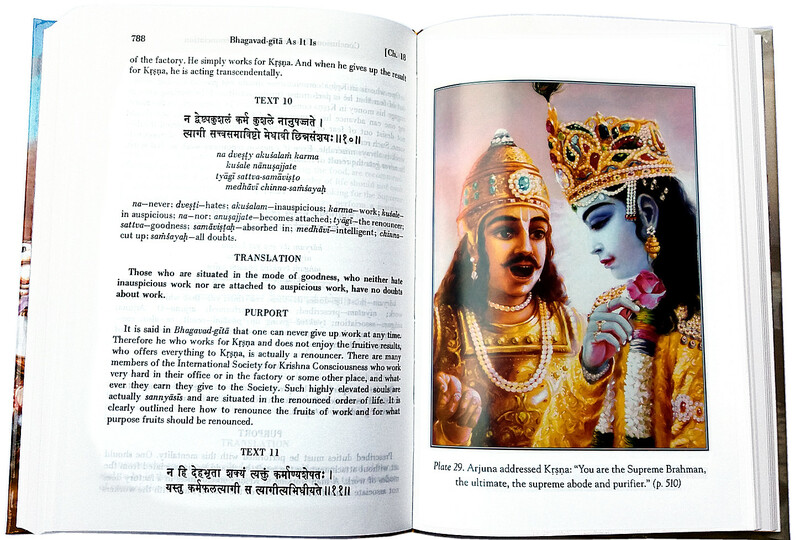 If you prefer getting a printed book, we are offering a very nice Pocket Edition of the original Bhagavad-gītā As It Is Macmillan 1972 for a donation of at least 8 Euros, which will cover our costs for book and shipping. 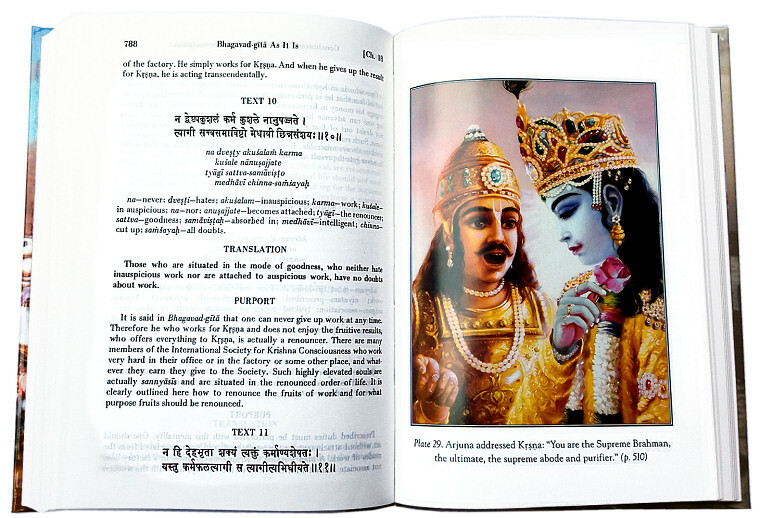 If you prefer the original Hardcover Gītā with Devanagari, we have a special offer for 12 Euros. No further additional cost. Donation possible via PayPal or SEPA standard bank transfer (in EU). The print size is easy to read and the binding is of good quality for long lasting use. The dimensions are 5 1/4 " long x 4" wide x 1/2 " thick. Perfect for travel, gifts, and distribution. 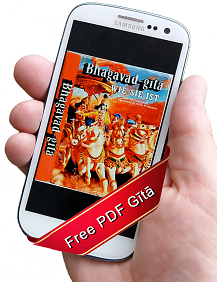 Available through KBI Krishna Books Inc.
We don't sell books or earn money here, this project is non-commercial.